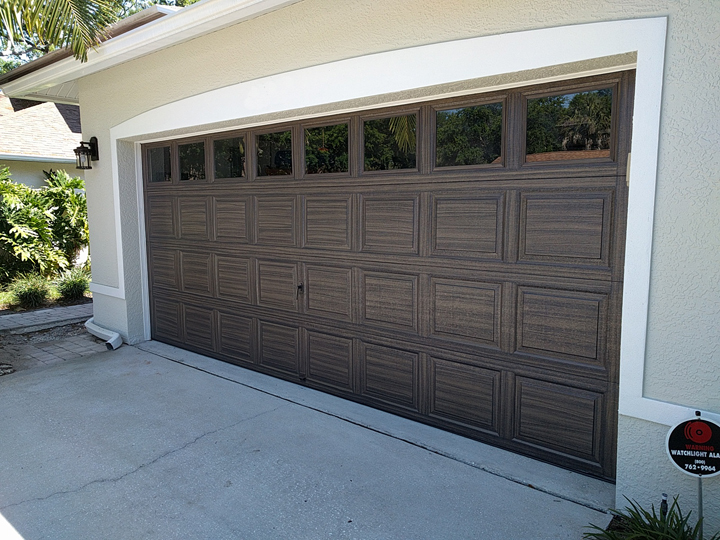 Painting a garage door to look like wood is one of the most dramatic steps you can take to give your home more curb appeal. You have to figure that in a lot of neighborhoods the garage door is one of the biggest architectural features of the home you see when driving down the road. 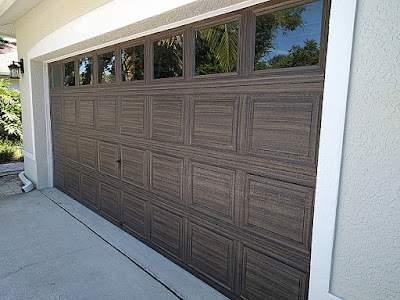 Having a beautiful wood garage door really enhances the look of your home. 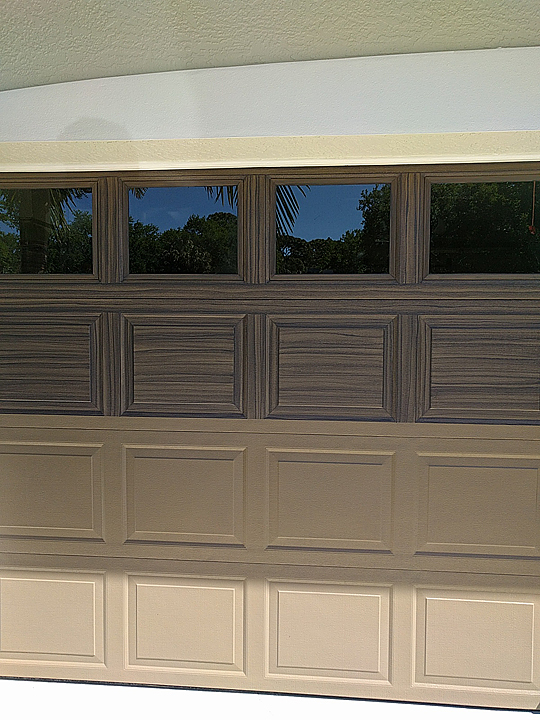 I completed painting this garage door to look like wood last week. The color of the door is perfect for the color of the home. It is a muted brown look which goes great with the light green color of the home. The first two photos show how much work was completed after the second day on the job. The first day was cleaning, priming and applying the base coat of paint. 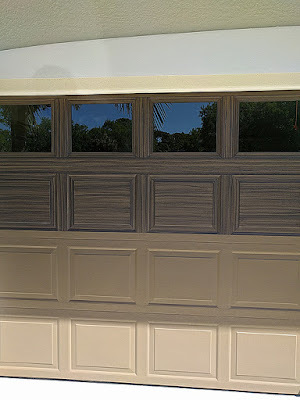 The base coat of paint on this door is a SW color called Tiki Hut. The wood grain color is a dark charcoal with some brown in it. A custom mix I made. The next two photos are of the completed door. The client loves her door and the huge change from a plain white door that was there. 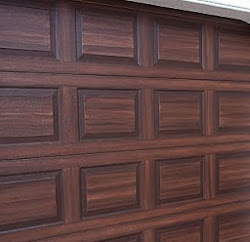 Here is the color I used to create the wood grain. I only used one color on this door. 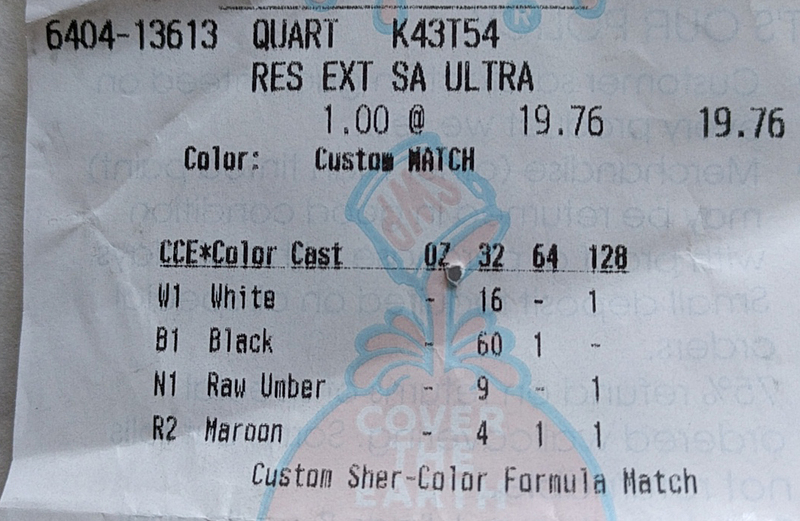 It is a custom color but if you took the pic below to a paint store they could mix it. 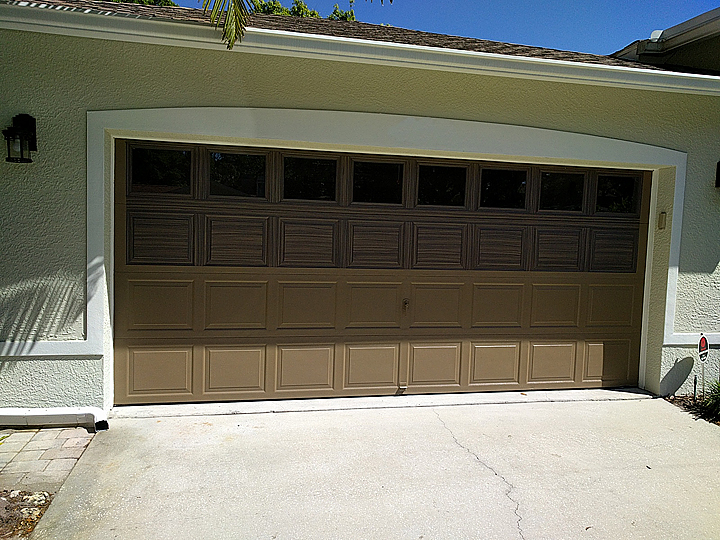 Robert - I love the muted tones of this garage door and think this is the right color for our gray-green house. I am purchasing your tutorial and would like to know the colors you used to achieve this effect. 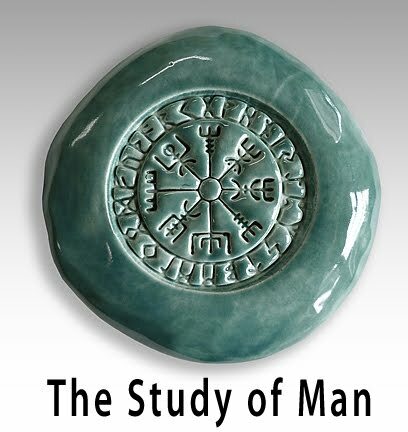 This is such a great site and so helpful -- so glad I found it BEFORE I started the project!! Thanks! Thanks so much for your purchase. After I cleaned the door and primed it I painted the base coat color of Sherwin Williams Toasty on there. SW 6095. 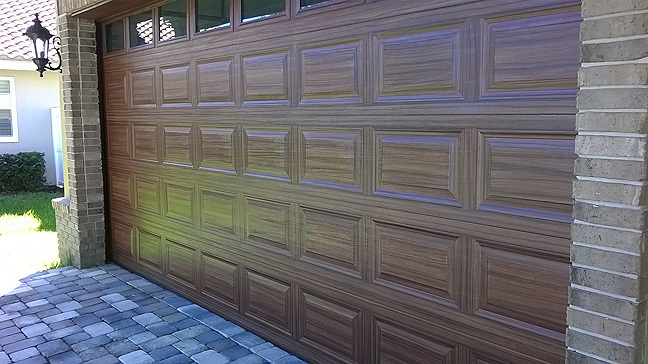 For the wood grain on this door I only used one color. I will post the receipt as a last picture on this post so you can see it and order the same thing. If you have any further questions don't hesitate to ask. I hope this helps.